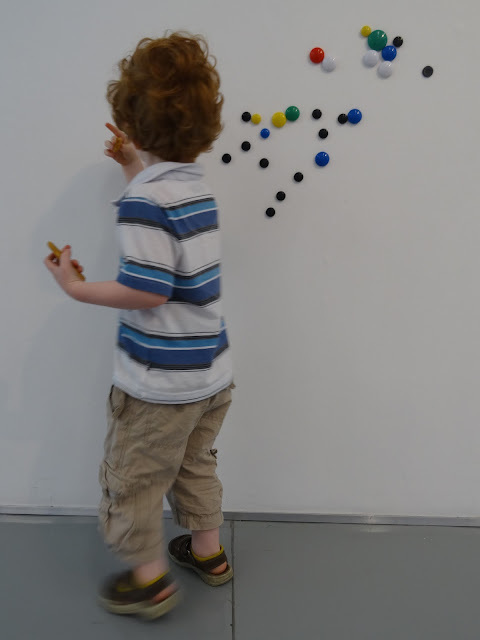 Family felt making at The Hepworth Wakefield last Sunday, no photos of felt this time BUT this little lad created a picture on our magnetic wall - a dinosaur! He was one of the politest and clearest children I've ever met. Great boundaries wee one! Last Friday I had the pleasure of working alongside a group of young people at The Hepworth Wakefield. 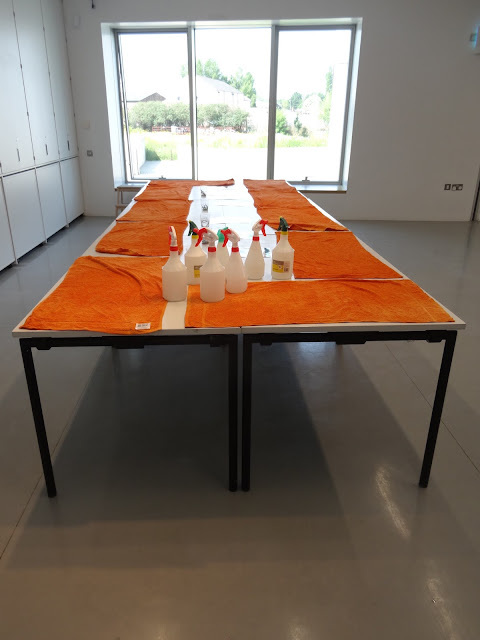 Our workshop coincided with the opening of Stanley Spencer: Of Angels & Dirt and we focused on his landscape paintings in gallery 9, discussing, writing and drawing in response to the work. Using fabric, rope & finds from the gallery store cupboards we assembled our interpretation on the grass outside the gallery. Focused engagement, playfulness and teamwork resulted in a fantastic day. The Leytonstone Arts Trail runs from 2nd - 10th July. My interview for the trail website was posted yesterday! During a chat about creativity and its nemesis, the inner critical voice, Siobhan Davis and Karen Logan spoke of childhood play and exploration, of becoming absorbed in process rather than focused on outcome - and the idea for PLAY / GROUND was born. The artists have created two outdoor workshops that compliment each other and consider playfulness, with a sprinkling of mischievousness and a desire to connect with kin. Part of the Leytonstone Arts Trail our workshops take place on Sunday 3rd and Sunday 10th of July, they are FREE! Join us! My two recent workshops at The Hepworth Wakefield with young people and families. An exploration of the Kettle's Yard exhibition culminating in painted stones, and felt making inspired by Yorkshire: Hepworth, Moore and The Landscape.